About 500 attendees are expected for an upcoming all-day STEM event at Nysmith School for the Gifted in Herndon, Virginia. 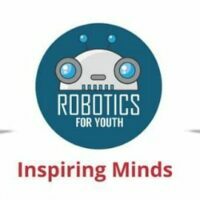 Celebration of Science, hosted by Robotics for Youth in partnership with Nysmith and World Robot Olympiad, will be held June 9. There is no charge to attend. A total of 32 teams will compete in the World Robotics Olympiad VA/DC/MD Championship. Qualifying teams will move on to the national competition. Attendees are invited to participate in hands-on experiments, listen to engaging speakers and hear from experts on STEM topics. STEMPowering Girls will offer in-depth workshops on robotics and programming, for which participants are required to pre-register. RFY is a nonprofit dedicated to inspiring future STEM leaders. The organization spearheads expos, classes and robotics competitions in Virginia, Maryland and the Washington, D.C., area.